The most secure way to send files. Why rely on unsecure, legacy solutions to manage mission-critical file transfers? Today’s competitive business landscape requires practical communication solutions for a media-rich world. Studies have shown that, in a typical organization, nearly one-third of all emails sent include attachments and that 20-percent of these files are usually greater than 5MBs in size. Unfortunately, email is often an unsuitable tool for the exchange of electronic documents. Most email systems have strict limits on the size of file attachments. For many end-users, the only solution is to find ad-hoc work-arounds. For an IT department, several problems arise. On the one hand, large file attachments are a significant burden, interfering with efficient corporate email server performance. On the other hand, the adoption of “rogue,” third-party file transfer solutions beyond administrative control creates a serious security risk. Email attachments offer inadequate document security during and after file transmission. The transmission of email attachments may break down across various computer and mobile device platforms. To be shared again, email attachments must be sent again from the originating computer in their entirety. 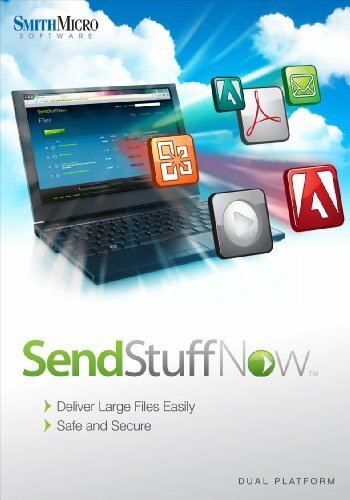 SendStuffNow makes it easier than ever to manage all the large files you need to share. 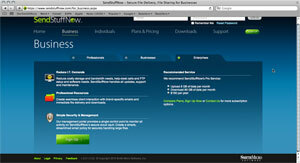 Spanning documents, presentations, applications, images and more, SendStuffNow supports all file types. The web-based dashboard provides detailed information about each file you’ve sent, who the recipients were, and whether the files were successfully accessed. 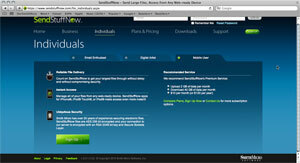 And SendStuffNow strikes the ideal balance between upholding file security and maintaining an optimal user experience. SendStuffNow’s streamlined user-interface ensures that sending a file is quick and easy whether using the Microsoft Outlook add-in or the service’s web portal from a PC or mobile device. No special training required. With built-in compression, you can eliminate the hassles of waiting for large attachments to be sent. Forget about “undeliverable” messages. Users will value SendStuffNow’s ability to clearly indicate whether a sent file has been downloaded by the invitation’s recipients. 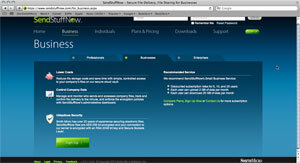 With SendStuffNow, your files and their metadata are 100-percent protected via AES 256-bit encryption. You can even password-protect your downloads for increased security. Deploying SendStuffNow protects your current email solution investment while adding a secure managed file delivery platform. All your large file traffic can be offloaded to either Smith Micro servers or your designated corporate server. Related IT infrastructure expenses will be reduced as you alleviate the overall burden on your corporate Exchange server. A web-based management portal provides a single control point from which IT administrators can monitor and manage employee activity. Because your users will no longer need to turn to ad-hoc solutions to overcome email limitations, you’ll be able to monitor and control the outbound flow of all large documents.